Dare to be envied with our Player Mini-Suite Package. 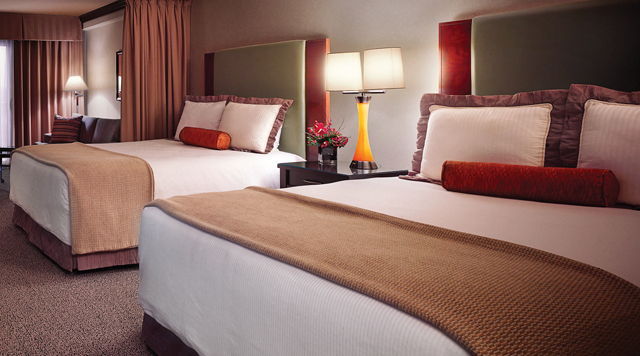 Our mini-suite provides a spacious 504 Square Feet of luxury and elegance, equipped with a 46" LED TV. After enjoying our plush accommodations, dine at one of our decadent establishments before embarking on a fun-filled evening.